This has got to be one of the most comical pokies that Net Entertainment have on their books. Offering a slightly morbid look at the classic tale of Peter Pan, NetEnt have tossed the rule book aside and brought to you something that even Tim Burton would be proud of. 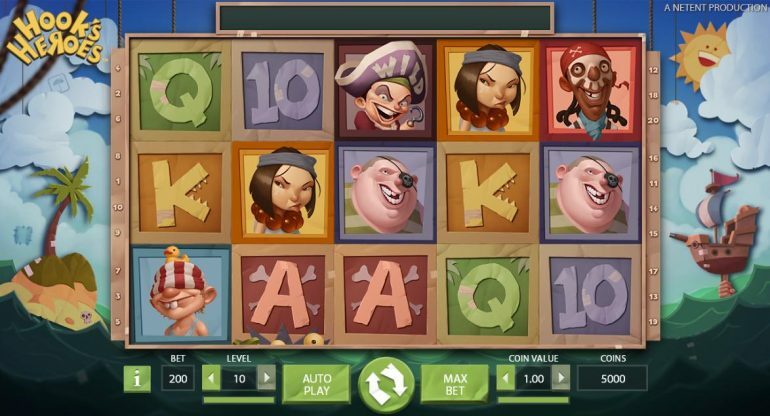 There are randomly triggered features, as well as free spins, wilds, scatters and a plethora of other little added extras. Being a Net Entertainment pokie you’ll be pleased to know that you can adjust nearly everything (except the reel strip!). So regardless of your playing budget, you’ll be able to enjoy this pokie without burning a huge hole in your wallet! 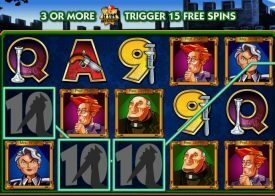 As this pokie only has 20 win lines, you’ll be glad to know that you’ll never be confused as to what’s actually going on, meaning that this is ideal for anyone that wants to play a multiline pokie without having to opt for overly confusing win lines of 100+. If you decide to play this pokie, be sure to check out all the wager options, for we are sure you’ll find one that is right for you. Be you wagering a penny or a pound a spin. The win lines aren’t adjustable, however we reckon you’ll have loads of fun playing Hooks Heroes as much as we did! The more Pokie games you get stuck into playing during any one single Pokie playing session the more fun and entertainment you will have during that session, but always keep in mind it is very true to say you will probably find yourself attracted to playing some Pokie games more than others, and we do feel that many players will love the way that the hooks Heroes Pokie machine has been designed. One thing that does bring each one of our Pokie game reviews to life is that we have inserted into each of them free play version of each pokie, and to allow you to see within a few minutes whether this Pokie is going to be one you will enjoy playing online please give the free play Pokie game above some play time as it should help you quickly discover what makes this game so very unique and playable too! 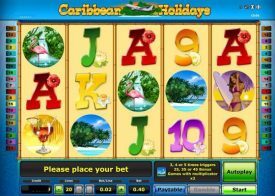 There are going to be plenty of fun filled gaming sessions you are going to be able to enjoy when playing his Pokie game online and if you want to gain a much clearer understanding of the way it plays and pays then please read on for the following section of this guide will be looking at some of the questions players have about it and we will be answering those questions too! 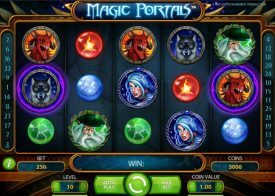 The Hooks Heroes Pokie game does have a very attractive RTP, in fact all NetEnt designed online and mobile pokies do come with high payout percentages, and as such over your long term play playing this particular pokie from NetEnt you will find you get 96.82% of your stake returned as winning payouts! Do I have to play for very high coin values? One of the benefits of moving your land based Pokie action online is that you are always going to be able to play any Pokie machine for any stake amount you like, and that is very true when playing this particular Pokie machine from NetEnt as it comes with lots of different staking options which you can change by clicking on the coin value button located on the play button panel. How do I know which are the jackpot paying reel symbols? 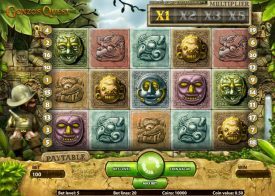 If you want to find out just how much you can win when playing this Pokie game then take a few minutes to study the pay table, for whilst there are some base game jackpot symbols which can award some very large amounts of cash you will find it is during the bonus game that you have the very best chances of winning some to the largest possible payouts from this Pokie machine!